Does G-d change HIS mind? As far as someone devoted to understand the ways of G-d, to whatever limited degree that is possible, Rashi already explains this point, at the beginning of Genesis. “Why does the Bible (which is intended to direct and instruct the world how to conduct oneself in a G-dly manner) begin with the creation of the world and not with the commandments?” And Rashi continues, because there is an important message G-d wants to communicate. “If any nation of the world decides to accuse the Israelites of stealing the Land of Israel, they could answer. G-d owns, and is ruler of the entire universe that HE created. He gives the land to whom He desires. First, he allowed others to dwell over there, and then, he preferred to give it to us.” That was the plan. The same idea can be applied to our point of discussion. Did G-d have a change of mind when he decided to bring the flood and do differently than when he first created the world? And the answer is. There is no remorse, change of mind or heart. In the same way G-d first placed other nations in Israel and then decided to give it to the Israelites, not because of any lack of vision on G-ds part or a change of heart, the same is with the flood. There wasn’t any mistake, but it is all part of THE plan. That is why Rashi here intentionally writes that his explanation is directed to a heretic, an obstinately stubborn, non-believer. As far as someone looking to make whatever sense he is able to make of the world, he understands there is no contradiction between the knowledge of G-d and a person’s ability to have free choice. It is only the non-believer who insists and is intractably stuck, that Rashi needs to bring the story of Rabbi Joshua who brought examples from life, hoping this would help them better relate to the concept. Just like a person will celebrate the birth of a child even though everyone knows the person must die one day, he understands that G-d bestows good for virtuous people even if in the future there may be a change of course. Rabbi Joshua the son of Korcha is mentioned intentionally since he was renowned for his ability to deal with such persistent stubborn people. He had the strength and the knowledge. Regular people must be on guard and avoid debates and discussions with people who are a negative influence in their lives. The holiday at the beginning of the year and the Day of Atonement is one day respectively. These are serious days of meditation, introspection and judgment. However, the days we are instructed to eat and live in the Sukkah is seven days, when the bible tells us no less than three times to be joyous! During this holiday when the Temple was still standing in Jerusalem there was a celebration that is recorded in the Talmud. “Whoever did not see this celebration, never saw joy in their lives.” Instead of only pouring wine on the altar they would also pour water. Wine and water represent two very different approaches to serving G-d. Wine has its own inherent taste and is enjoyed differently by each person according to their specific palate and appreciation for the drink. This represents serving G-d with logic and rational thinking, each person according to their own specific level of depth and breadth. Water has no taste, it’s the same for everyone. This represents the service of G-d that comes from dedicating and committing oneself totally, beyond understanding or any logic. 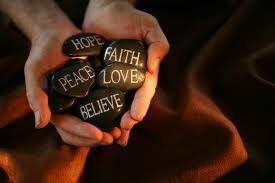 This is a service of G-d that goes beyond any personal thoughts or feelings regarding the matter. At first this method seems dry and one of subservience, while when someone understands and appreciates logically and rationally how they personally derive benefit from the service, this would seem to have greater personal enjoyment and value. However we see that the great joy did not come as a result and in conjunction of the pouring of the wine, rather from the pouring and the service of the water. Real deep and powerful joy is the result of an occurrence or experience that is totally unexpected beyond any understanding. That is why it moves a person beyond their own limitations. We see when someone is completely overwhelmed and astounded with joy they will jump, sing, talk and bubble with energy even if usually this behavior is totally not their nature. 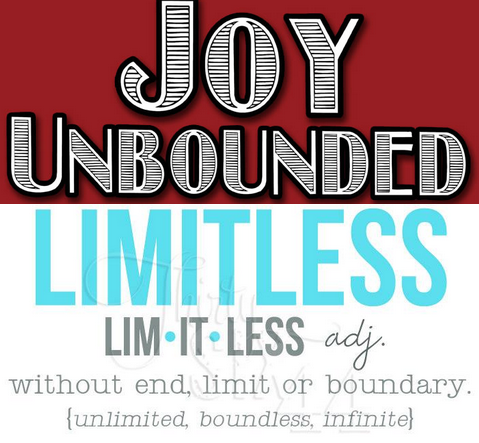 In order for someone to bring on a joy that carries them beyond their regular self, the cause and reason for such joy must also be beyond personal limitations. 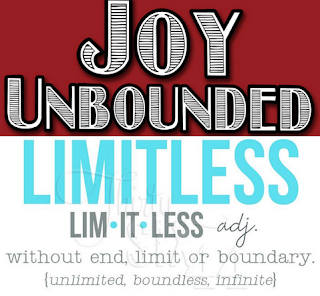 As long as it all makes sense to me, my joy will be within my own boundaries. However when I have given of myself totally, it’s gone so far that it’s beyond being able to explain my dedication within the confines of logic, that is when we bring on a limitless deep sense of joy personal fulfillment and happiness. We connect with each other and communicate with zest and fervor, there is exilhiration in the air and even in a cold sukkah, and even if it’s only a child and he happens to be sleeping the energy is contagious and will rub off and remain for generations to come. Jonah, the whale, and our lives. On Yom Kippur the holiest day of the year we read in the afternoon, the entire book of Jonah. Yom Kippur is a day of atonement because it is the holiest day of the year. Holiness equals G-dliness, and on this day, in our minds and with our bodies we are closest to G-d Himself. We are not involved in our mundane bodily pursuits or needs, we are completely immersed in prayer. On a day spent in this way, G-d assures us of forgiveness. The story of Jonah and the whale teaches us the power of repentance for all mankind anytime of the year. Especially on this day when G-d tells us in the Bible, He is closest to all those who call Him. This day has tremendous significance and opportunity. The story of Jonah teaches us there is nowhere to run or hide from G-d, since G-d fills the entire world. Jonah prayed from the depth of the big fish’s stomach, from deep down in his own gut, and G-d always answers the prayers of someone who prays and connects with G-d from that spot. Joy and happiness is a vessel for G-dliness. When a person is filled with gratitude in their lives and appreciates the special unique mission they were granted to fulfill every moment of their existence, this elevates a person to a very great and deep level of consciousness. Jonah served G-d with great joy and became a prophet of G-d. G-d communicated to Jonah that he go to the city of Nineveh and tell them that if they do not change their ways G-d would destroy them. Jonah was afraid, that if Nineveh repented, it would look bad for the people in Israel, so he decided to leave Israel thinking G-d would not communicate with him outside of Israel. 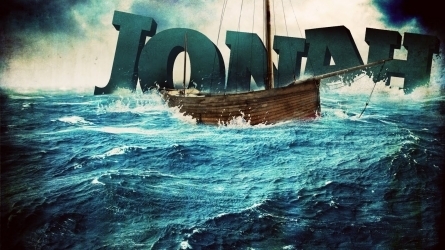 However, while Jonah was on the boat, a great storm threatened to capsize the boat and Jonah told the captain to throw him into the water and the storm would stop. So it was, and Jonah ended up in the stomach of a great fish. Jonah realized there was nowhere to escape and prayed to G-d to give him another chance. Jonah announced to the people in Nineveh they had forty days to repent, and they all turned their lives around. Although they did slip back into their bad behavior later on, at this time they were sincere and so they were forgiven. In the book of mysticism it helps us understand the deeper messages of the bible and explains this story on a much deeper level. In Hebrew the word Jonah means a dove, and this is a symbol for the spark of G-d within each person. The boat is the body in which the soul is enclothed. Many times this boat and its desires will carry the soul away from fulfilling its ultimate purpose, until it hits a catastrophic storm that threatens the entire physical existence of the person. The name Nineveh, where the soul is instructed originally to reach, means, to make beautiful. This is the mission of every soul to take a dark and sometimes deceiving and ugly world and transform it to a beautiful place where G-d would be comfortable to dwell. The mission of every person is to consciously work against the flow as difficult as this may be, and with every small success against the current of materialism and flow downwards, success has been accomplished. Although we may fail every so often in our mission, difficulties help us reconsider the route our boat is taking. The story of Jonah reminds us we can always pray for another chance and the door of repentance is never closed. Many times, the incentive and motivation of the evil inclination inside of us to get us to stumble and make wrong and bad choices, is not so much the bad choice itself, but what comes afterwards. Everyone makes mistakes. “There isn’t a righteous man who hasn’t sinned.” The response to a mistake is to realize that inherently our soul is pure and its essential character can never be affected by human decisions. Our task after we threw some dirt on our souls and lives, is to uncover the natural affinity we have for what’s right and good, G-dliness, and to get back in touch with our true selves. To accomplish this, Rabbi Zushe of Anapoli taught there were five steps to “return” and rediscover this beauty and strength that is within each person. Step #1. “Be sincere with the Eternal, your G-d.” Don’t get complicated with life. You will never figure it all out. Recognize G-d is much greater than we could ever fathom and walk simply & wholeheartedly in His ways. Don’t make life more complicated than you have to. Be more accepting of circumstances. Steps #2. “I have set G-d before me always.” Always remember everything around you is G-dliness. G-d isn’t up in the seventh heaven. G-d IS the seventh heaven and everything we experience in our lives. Therefore, all is good. Step #3. “Love your fellow as yourself.” Everyone is here to fulfill a purpose that I am dependent on. It’s not about the clothes or car a person owns. It’s all about the integrated and cohesive puzzle each single one of us make perfect. I need you as much as you need me so we can all make each other’s life and the universe whole. Step #4 “In all your ways know G-d.” In order to implement the steps above, there must be some concrete channeling of these concepts into our everyday lives so these spiritual perspectives reach even deeper into our psyche and become one with who we are. Every time you do something connect the act with G-dliness and spirituality. If you were to make a blessing and thank G-d when you eat food, before and afterwards, you are proclaiming that you don’t take your health for granted or the food for granted. You are recognizing G-ds interaction and influence in your life every single moment. King David praises G-d, for every breath, because no one guarantees you, your next breath. When we train ourselves to know G-d and to thank G-d, for all the good in our lives we are integrating our faith into a real and physical dimension of our lives. Step #5. “Walk discreetly (in modesty) with your G-d.” Once a person understands that G-d is everywhere, in everyone, and in my life I connect all that I do with G-d, we smoothly transition to this step of being discreet and modest. There is no one to show off to. To the contrary, if a person is filled with arrogance and the need to impress others, they are giving way too much credit to themselves instead of G-d. By acting in a modest and discreet conduct, we are demonstrating and strengthening our character and disposition to be in line with the awareness, that all that I have and all that I am, is due to G-d’s credit.